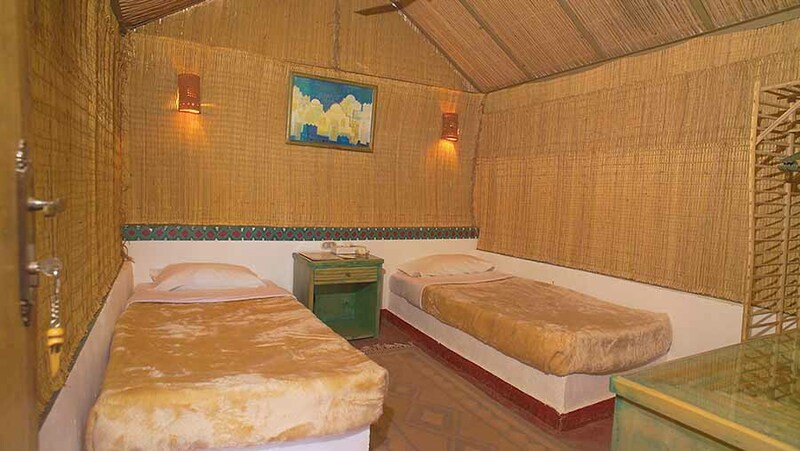 Sol Y Mar Mut Inn lies in Al Dakhla Oasis, about two hours from Al Kharga Oasis and four hours from Al Baharia Oasis. Al Dakhla Oasis is an area of outstanding natural beauty and consists of a collection of several different settlements framed to the north by a wall of rose coloured rocks. 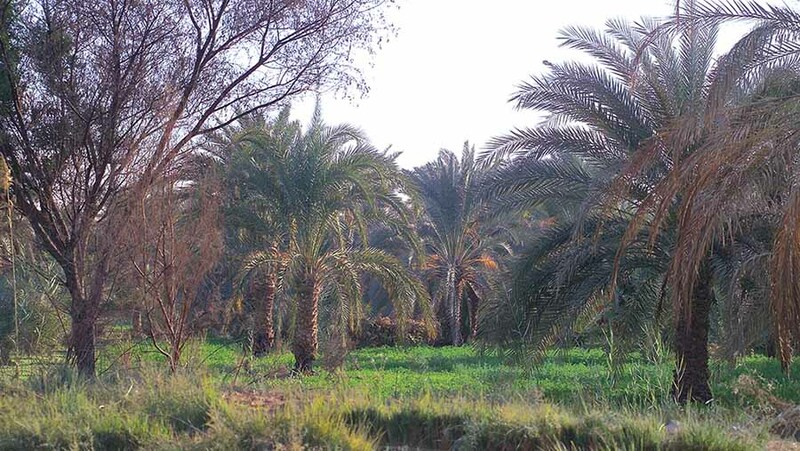 Fertile cultivated areas growing rice, peanuts and fruits are dotted between sand dunes along the roads from Farafra to Al Kharga. Mut is the capital of Al Dakhla Oasis and it is here that the beautiful Sol Y Mar Mut Inn is located. Sol Y Mar Mut Inn compliments its setting perfectly. The architecture, style and layout really do give you a feeling of being at one with nature. Charmingly simple, but comfortable accommodation in the form of individual chalets and lodges allows you to enjoy a true desert experience. 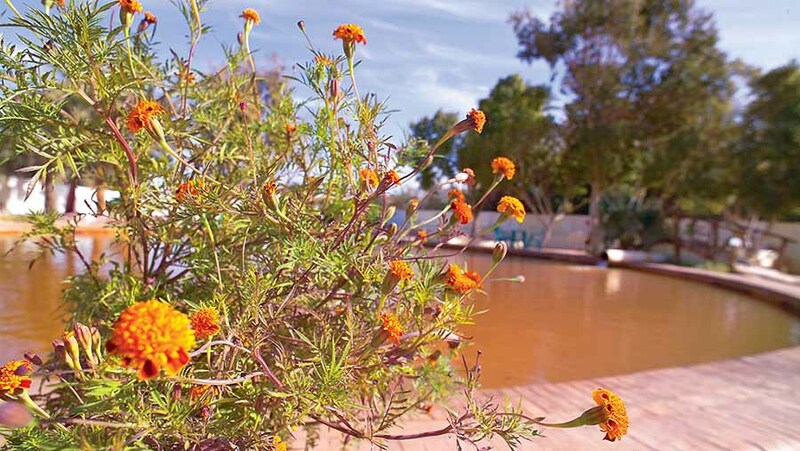 The resort has its own natural thermal hot spring so you can soak in the iron-rich waters known for their healing properties or use the resort as a base to explore the dunes and beyond. Visit the Roman burial ground of Mozawaka, the temple of Deir El Hagar or the Al Qasr village built in traditional Islamic style. In the evening, sit under the stars at the open air barbecue restaurant. 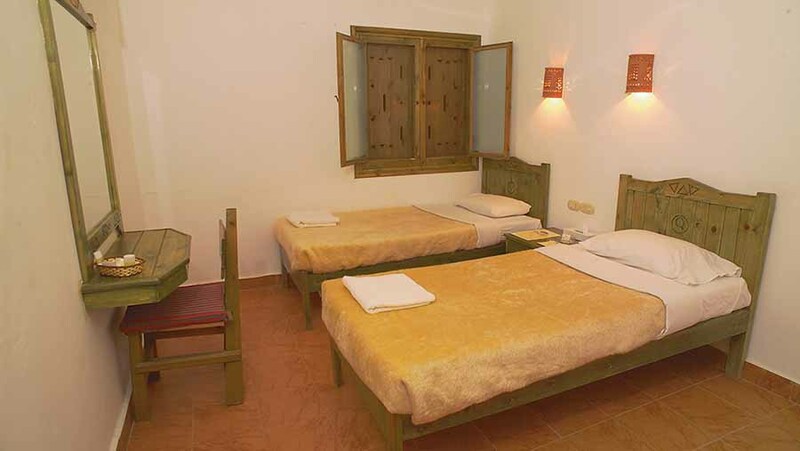 Hotel facilities are in keeping with the natural setting and spirit of adventure that is embodied in the Sol Y Mar Mut Inn. One main restaurant provides buffet style International breakfasts, lunch and dinner while an open air barbecue restaurant caters for those who want to dine with a view of the desert. One pool bar sits along side the natural hot spring main pool and the kids have their own hot spring pool too. Rooms are not air conditioned, but equipped with fans or heaters depending on the time of year. Several safari trips can also be arranged to local sites of interest. All rooms are equipped with fans in summer and heaters in winter. A safe deposit facility for valuables is available at reception. 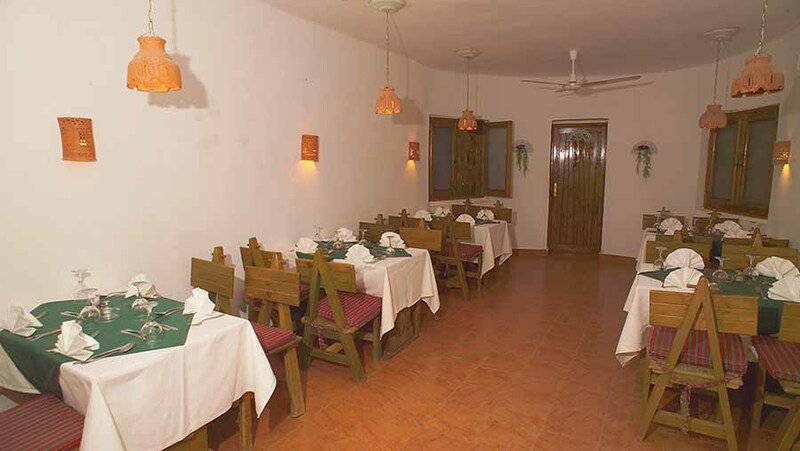 Sol Y Mar Mut Inn offers quality restaurants and friendly bar. Main Restaurant offers a variety of International buffets for breakfast, lunch and dinner for all inclusive guests as well as meals for half board guests. Barbecue Open Air Restaurant simply ask for a Barbecue meal and it will be provided along with a stunning desert view from this open air restaurant. Pool Bar serves drinks by the natural hot spring pool. The range of activities reflects the rugged and beautiful surroundings. The resort’s own iron-rich hot thermal spring feeds directly into the swimming pool (and the kid’s pool) and allows guests to soak in the healing and restorative waters. A camping area with tents professionally prepared is available for camping out if you like spending the night under canvas and the stars or when on safaris. A kid’s playground area is sited in front of the villa, but the entire complex is a playground really! For those truly suffering civilisation withdrawal symptoms there is a TV corner. The real star entertainment at the Sol Y Mar Mut Inn is the desert, the night and the stars. The sense of escaping civilisation, without roughing it too much and drinking in the stark and often mystical majesty of the desert relaxes, invigorates and refreshes body and spirit.